I am enjoying Nigella Lawson's new cookbook, Nigellissima, so much! I cooked her recipe for Green Beans with Pistachio Pesto, and it was a hit! All you need to do to make this recipe is cook green beans how you like them first, then toss them in pistachio pesto. The difference between Pistachio Pesto and Regular Pesto is the nuts: Instead of using pine nuts, use pistachios in your pesto recipe. Combine the basil, garlic, and pistachios in a food processor and pulse until coarsely chopped. Add the oil and process until fully incorporated and smooth. Season with salt and pepper. ***Toss with green beans, pasta, anything! This is some good stuff!!! 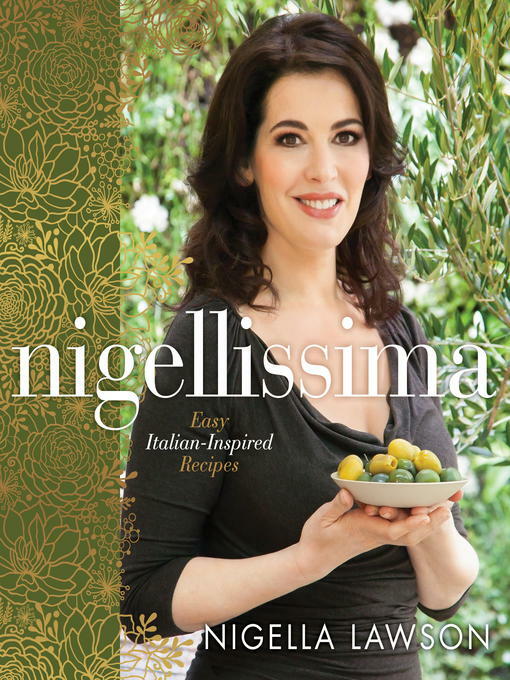 If you havent' bought her Nigellissima, and you love Italian food, then you are missing out! I really like her food! That really sounds amazing! We love to add flavor to our dishes! I have her book in my wish list! Enjoy your week my friend! Hi Ricki Jill, I love green beans, cook them often here. I love to buy fresh and use a little EVOO! I think I l would love to try the pesto recipe, sounds delicious. Ricki, This looks delicious! I'm a huge pesto fan.. it food from good to AMAZING. Aside from seeing her on television a couple times, I don't know too much about her and I must review this cookbook. Is her show still on?? They always change the line up of chef on food channel and I loose track of everyone. These look delicious. I don't think I have ever tasted pesto. Can you believe it? I love the basics in it, so I know I'd love it. Oh where has my ambition to cook gone? I think it was stolen by the afraid they won't like it gremlins!